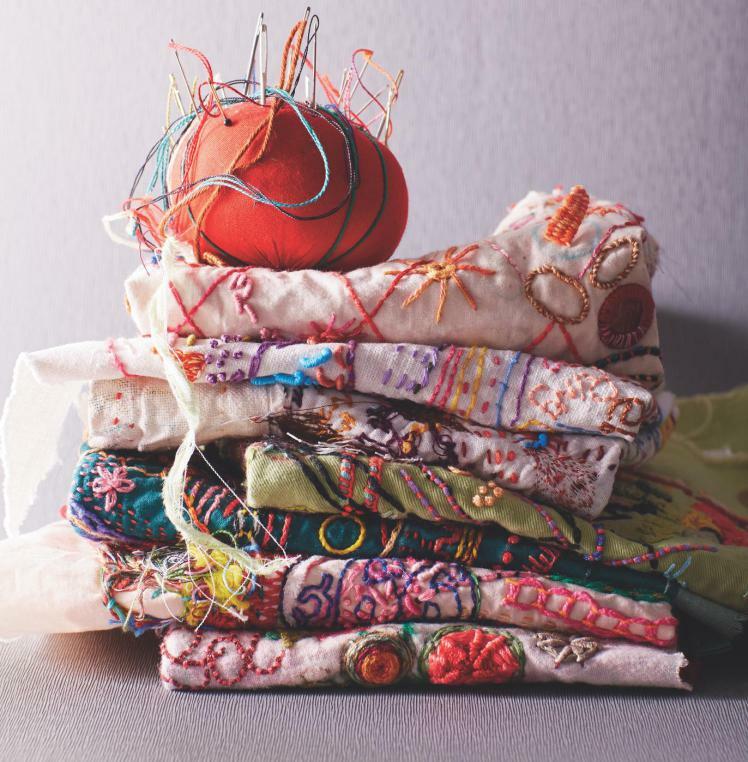 This is wonderful article from Ray Stitch about why the crafts of stitching and embroidery and so loved and so necessary to us in many ways. the quality or state of being conscious or aware of something; being fully aware of your thoughts, feelings, bodily sensations and your surrounding environment. It also involves acceptance, meaning that you pay attention without judging, for instance, without believing that there’s a “right” or “wrong” way in a given moment. Despite the fact that slowly constructed textiles and other slow crafts offer its maker the time to consider the act of what they’re doing and consequently how to progress, creating something that may require a repetitive motion can induce a state of mindfulness, where the act of doing increases skill and therefore the disassociation between your mind and body – quite the juxtaposition. There are countless reasons why slow craft and slow stitching have come to the forefront of knit and stitch groups; it is ancestral to sit in a group and make or mend. For exchange of knowledge, for the upkeep of spirit when something is monotonous, for the sharing of resources including electricity… With the act of darning and mending, it is the need to recycle, the need to preserve your everyday heirlooms and, the excitement and satisfaction that comes with making things better again. We all understand the necessity for patching up clothing that has been so loved and is now so moth eaten, whilst the history of Japanese Boro shows the joy in creating something from others’ scraps in a patchwork manner. These two approaches to upcycling are mindful on resources and also mindful of resources – they see the beauty in the material itself and hope to preserve what it represents. For instance, taking your grandparent’s linen apart to create a quilt, or patching it up again so that it can be continued to be used, can be a way of respecting the item itself and of respecting your grandparent’s lives. 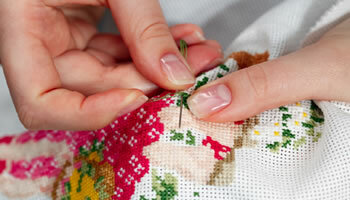 Along with stitching for preservation and functionality, there is also stitching for the sake of it. There is a physiological need humans have to feel satisfied – it’s comforting, it increases our well-being, it shows that we’re skilled… There isn’t a time when we don’t find ourselves whetting our appetite on Pinterest for inspirational stitches and crafting, and as much as we would like to recreate it, we know that handwork involves personality as much as skill. For more follow the link to the original article.